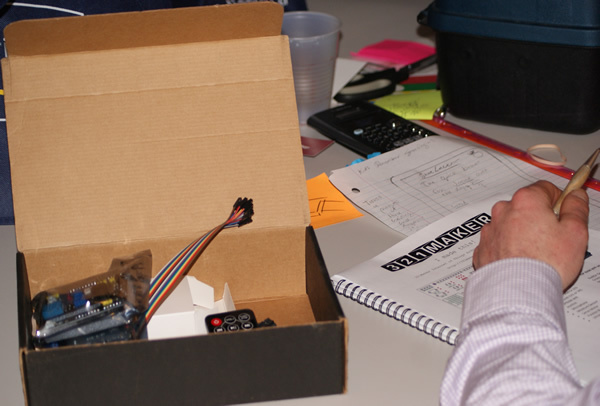 We provide teachers and parents with the resources they need to help others learn how to program using the Arduino language and join the maker movement. 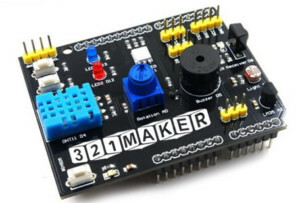 The 321Maker Things Shield is the easiest way to get started with the Arduino platform without having to know how to build electronic circuits . 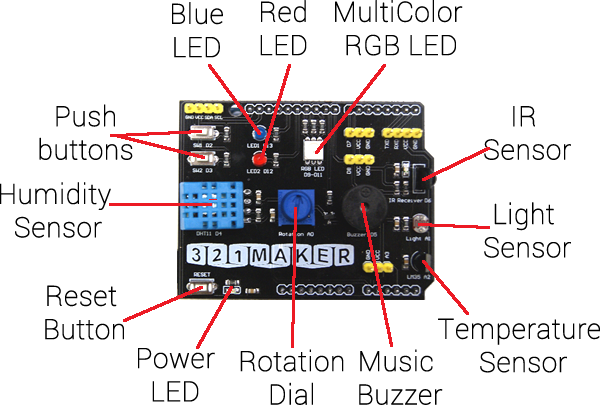 Our shield lets learners focus on programming really cool projects without the added complexity of having to hookup wires or use breadboards. No previous programming knowledge required. Experiments are Plug and Play. All learning resources are free and open for all. All Experiments contain “Challenge Levels” and “Additional Ideas” to allow learners to develop skills while building awesome projects. Current kits are either expensive or difficult to use. Our kits are very low cost and extremely simple to use. 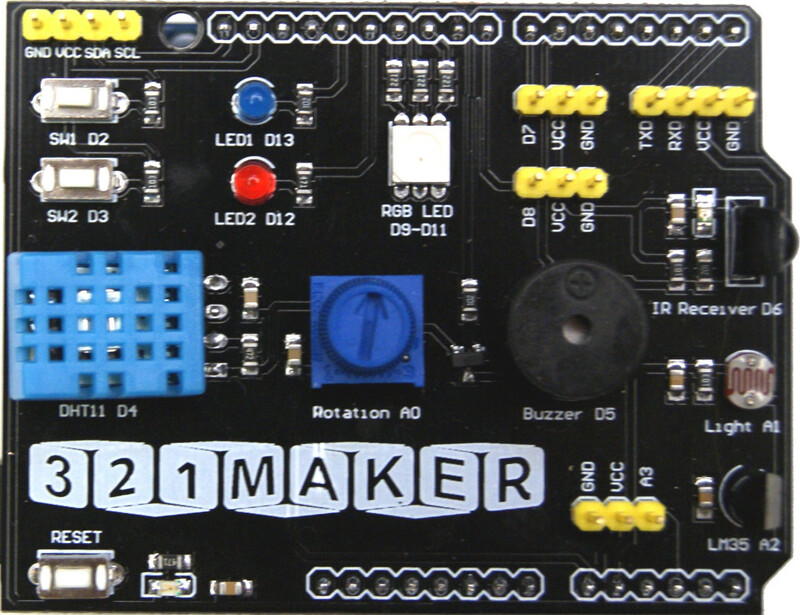 By standardizing the configuration, we are able to remove common sources of frustration in learning how to build and connect complex circuits, and provide simple, easy to follow experiments and video tutorials that anyone can follow. Our kits are perfect for Clubs, schools and labs. We’ve even created a “Teacher Support” area on our website. Check our a sample of one of our easy to follow experiments and video tutorials. Order online at Insane Supply.